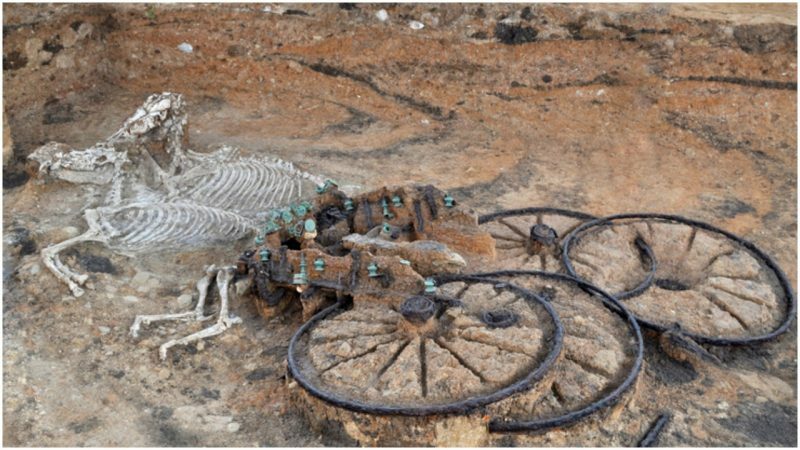 In a bizarre twist, 18 months ago, another Iron Age chariot was found, along with two horses, at a different construction site in Pocklington. A chariot was the possession of a high-status individual. The rite of including horses as part of the burial is being puzzled over by researchers. Before finding the chariot, the dig at the Burnby Lane site revealed artifacts including a sword, shield, spears, brooches, and pots. The excavations give insight into life over 2,500 years ago. These are thought to be people of the Arras culture. Yorkshire continues to be the place where astoundingly well-preserved remains of the Arras culture are found. In 2016, some 150 skeletons and their personal possessions were discovered in a small market town at the foot of the Yorkshire Wolds. 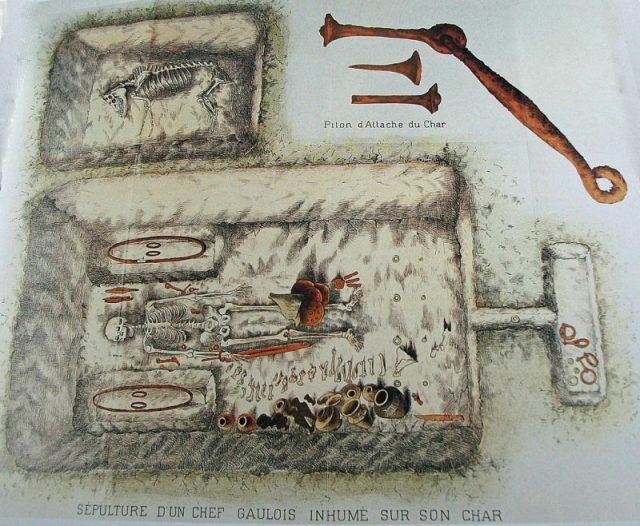 Illustration of a chariot burial. 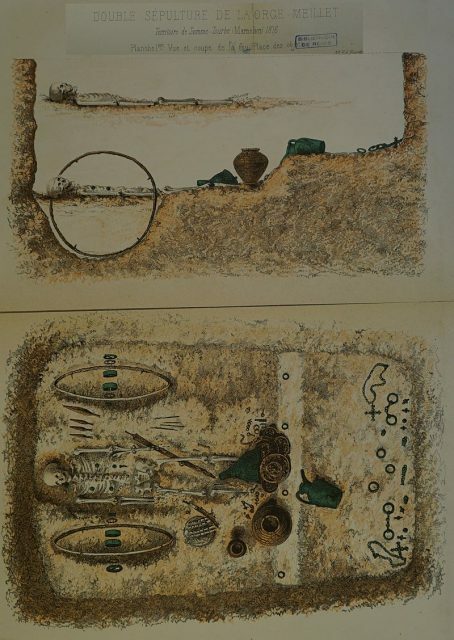 Some of the 75 square barrows, or burial chambers, contained personal possessions such as jewelry and weapons, according to The Guardian. Archaeologists also discovered a skeleton with a shield. 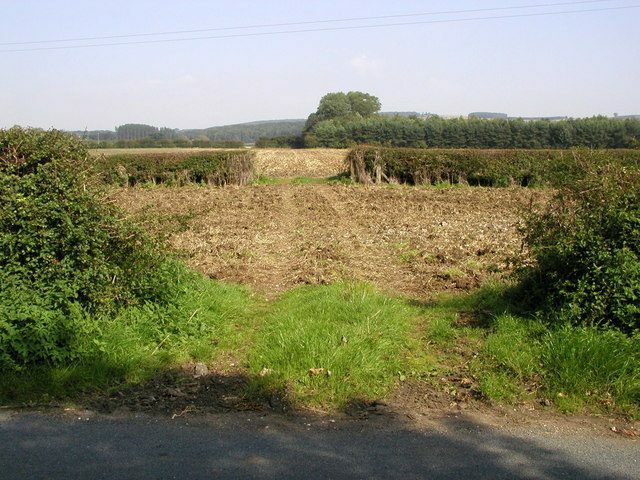 It is believed these sites all date to the Iron Age, which in Britain lasted from 800 BC until the time of the Roman conquest, beginning in 43 AD. An in-depth study will focus on whether the population is indigenous or were recent arrivals from the Continent. Archaeologists also hope to reveal how those buried at the site died and whether or not they are related in anyway, as well as potential DNA analysis. The custom of burying the deceased with their chariots within squares is unknown in the rest of the British Iron Age. Interestingly, the Arras vehicles were usually disassembled, a practice less common in the Continental chariot burials.